Forging elite tracking for benchmarks, maxes and wods. Never miss tracking a WOD again. 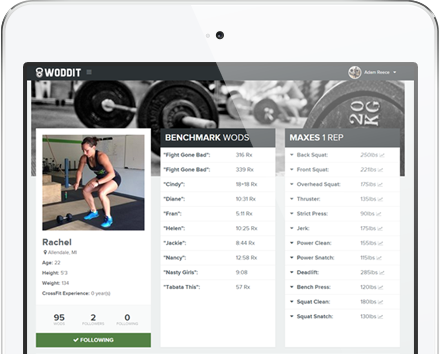 Track your WOD daily with the ability to add notes for future improvements. Progress begins with measurements and measurement begins with tracking. 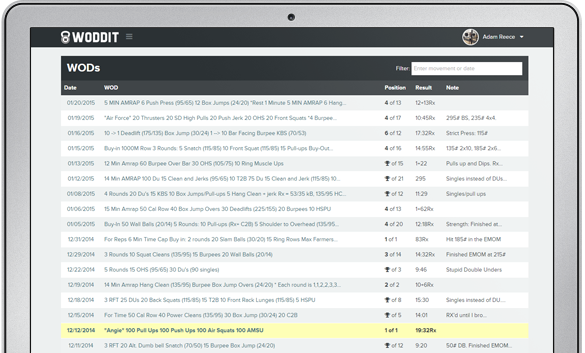 Track all of your max lifts, view your history and see your progress charted for you. Whether its a 1 Rep Max, 3 Rep Max, 5 Rep Max, it needs to be tracked. Don’t have a 1RM? Use Wendler’s Formula to estimate your 1RM, automatically. The staple of tracking your progress in CrossFit, Benchmark WODs. Easily track your Benchmark results with history. Community focused workout tracking. See where you land on the daily leaderboard, encourage your fellow members for hitting new maxes on movements, view athlete profiles and more. 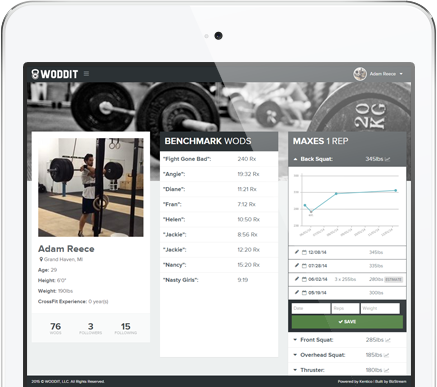 Create unique athlete profiles and put your Benchmark WODs, 1 Rep Maxes and Previous WODs on display. Follow your fellow athletes and encourage them as they hit new PRs! Not sure yet? Try Woddit for free for 30 days. If you don’t find it valuable, cancel your membership, hassle free. There is nothing to lose. Bring your box together by providing a space for athletes to track their progress, friend fellow athletes and encourage one another, in one location. 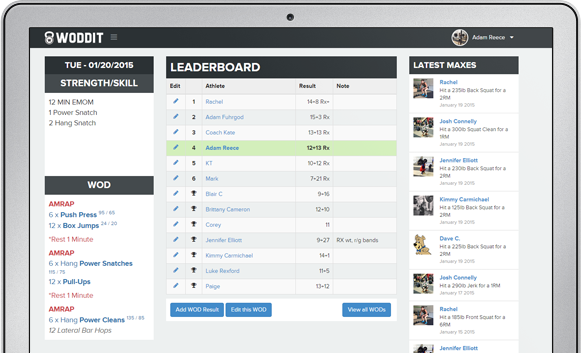 Easily track your athletes strength progress or Benchmark WOD progress. 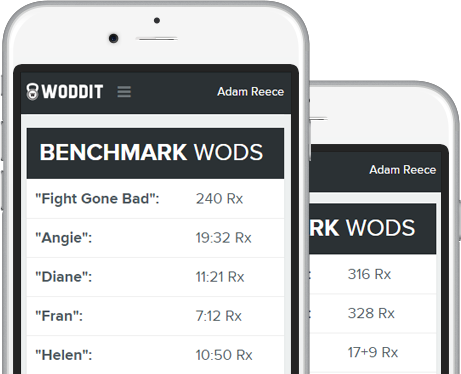 Woddit was started by two geeks who fell in love with CrossFit. Mark Schmidt and Adam Reece started CrossFit in May of 2014 at CrossFit Allendale and quickly realized that boxes and athletes need an affordable way to track their daily WODs, track their 1RM, track the benchmark WODs, as well as connect with the other athletes that go to different class times. In August of 2014, the work began to build a system that could do just that.